Biggy is the queen bee of Romp N' Run. She is my shadow. 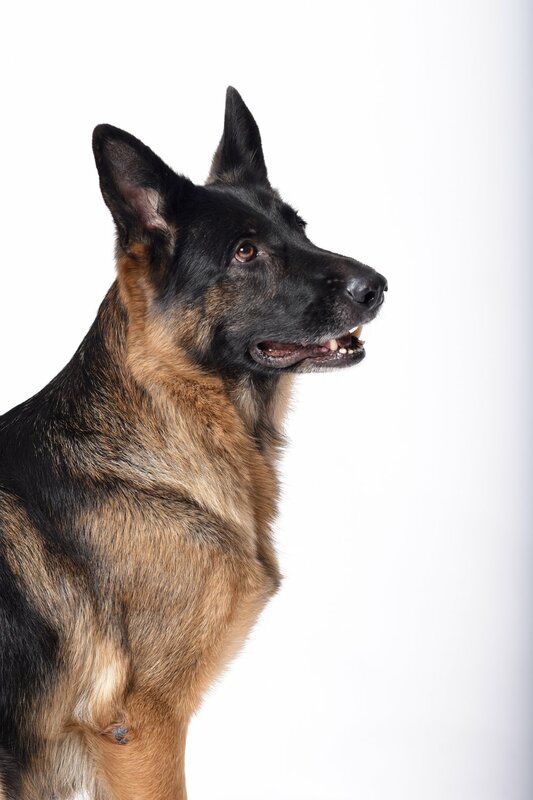 Biggy was imported from Germany at four years old and has given us three beautiful litters of puppies. More important, she has adapted to our language and customs, our Texas heat, and our Tempurpedic bed! Biggy has retired from breeding but will watch over her daughters and babysit her grandpuppies, passing on her patient and kind temperament. Our Bria was the prettiest and most ornery puppy of her litter. At six, she is still as full of life and joy as a puppy! She is now retired from breeding and conformation events, but is very happy to travel and participate in performance events. 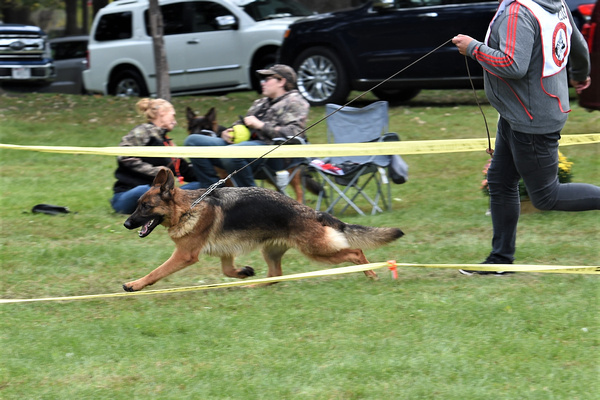 She has recently earned titles in Lure Coursing, Rally, and Trick Dog! Bria and I will continue to compete in these venues and anything else she is up for. We couldn't be more proud to have her in our family. Introducing our new import female, Karma! With Biggy and Bria now retired, and Daenerys busy with performance events, it was time to consider an import female that could bring in new bloodlines and continue the strong motherlines we are so fortunate to currently possess. 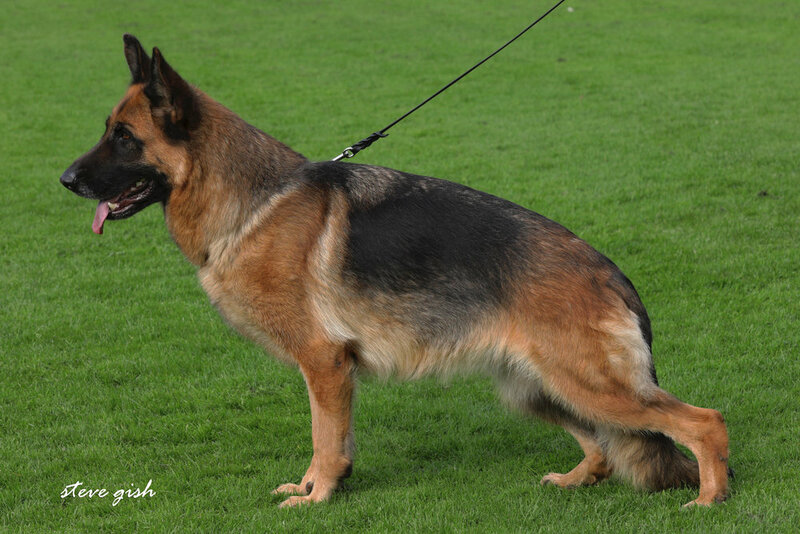 Karma was chosen due to her outstanding structure, very nice working ability, and healthy pedigree. 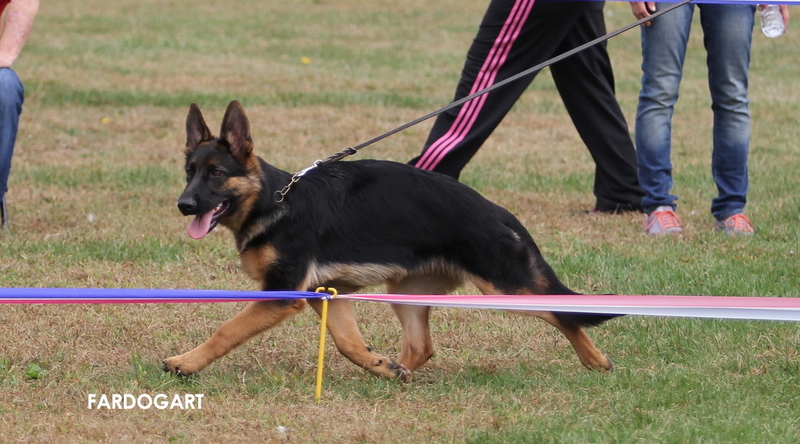 We are so excited to show Karma here in the US and see just how well she compliments our breeding program. Denny is the sweetest puppy we have ever had here at Romp N' Run. She is so gentle and loving--unless you are the water hose, and then it is game on! 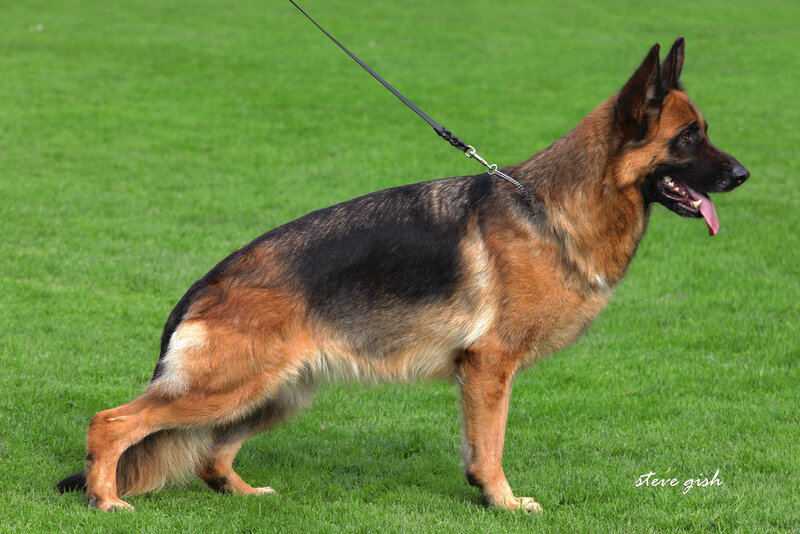 Denny's dark color makes her stand out from the rest in the show ring, as one German judge said, "her rich pigment is essential to the future of the breed". We are actively campaigning Daenerys in performance events and she now has titles in Obedience, Rally, Herding, and *almost* Agility. She and two of her littermates are also certified therapy dogs, spreading smiles to those who need it most! We have waited a few litters for a standout female to keep here at Romp N' Run. Image is such a compliment to her parentage and our breeding program. She is beautifully put together and her temperament is super! She loves getting out and about, doing anything I ask of her without hesitation. 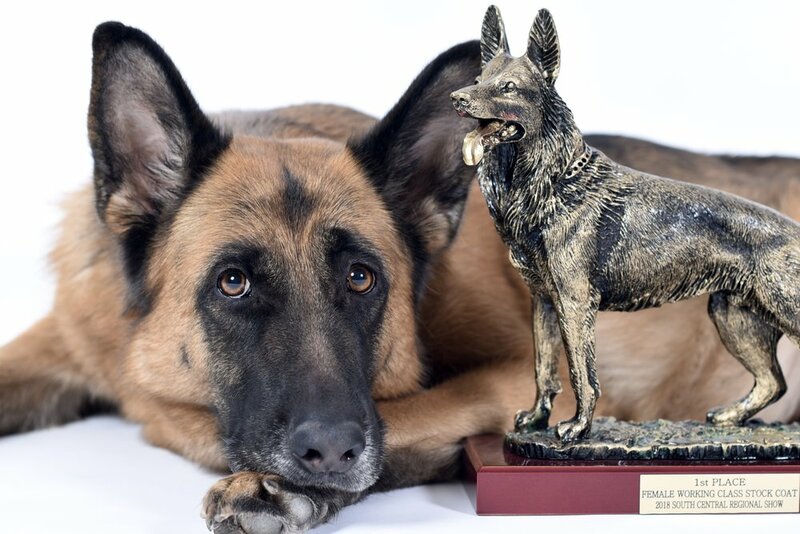 Image has completed her IPO1 and breed survey in Europe and is now ready to compete in the Working Dog class. We are so happy to have her home and work with her toward further titles. Our first long coat keeper! I have always loved the long coats, just never considered keeping and competing with one. But our Kissy Face is just too sweet and pretty to resist! 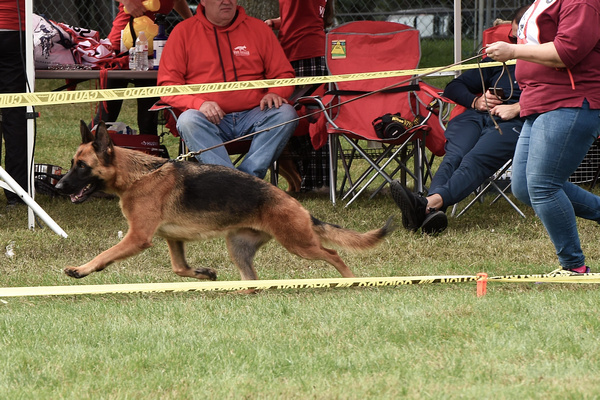 Kissy was called out in first place at the 2018 GSDCA Sieger Show and was the crowd favorite. She is super easy to live with and enjoys chasing butterflies in her spare time!